April 2011 | Blog | Di Bruno Bros. The Basque region occupies parts of France and Spain. However, to the people who occupy this region, its neither France nor Spain...It's different...It's Basque Country (Euskadi). When driving into the region the evidence becomes very prevalent. Entertaining & Holiday Tips, New Products, Random Fun! Red cat is perfect for those first few baby steps into the frontier of pungent cheeses. 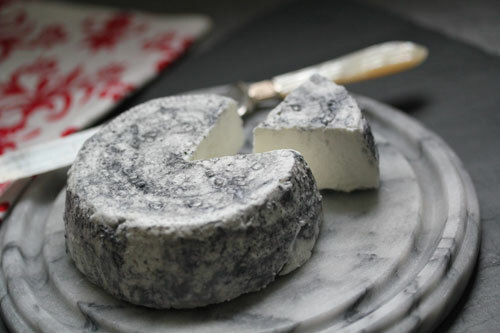 Its gritty, sawdust colored rind blends perfectly with its fudgy, creamy interior, making for a harmonious coupling of textures, aromas and tastes. Beer & Cheese, News & Events, Random Fun! The celebration will begin at 6:00pm on Thursday, May 12th, 2011 in the Upstairs Café at Di Bruno Bros. located at 1730 Chestnut Street. Tickets are $45 in advance, $50 at the door. Seating is limited, so it recommended that you purchase tickets in advance.